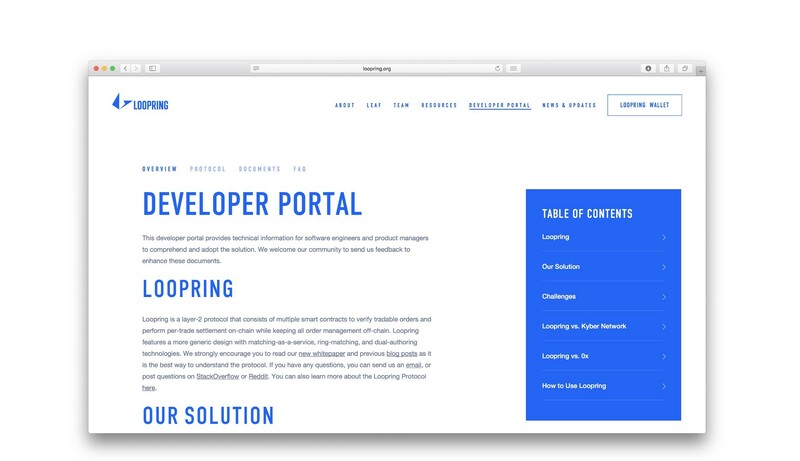 We have just launched Loopring’s Developer Portal (loopring.org/developers). Documents in the current release are still preliminary thus demand further improvements. We welcome and will reward contributions to all Loopring related documents — most of them are mostly hosted on GitHub so you can create pull requests. Many thanks to our intern Ashton Barger for translating many documents from Chinese to English.